In time, even the most protected windows will need to be restored. Metals oxidize and become unworkable. Lead and glass both give way to gravity and often need to be reinforced, or restored altogether. 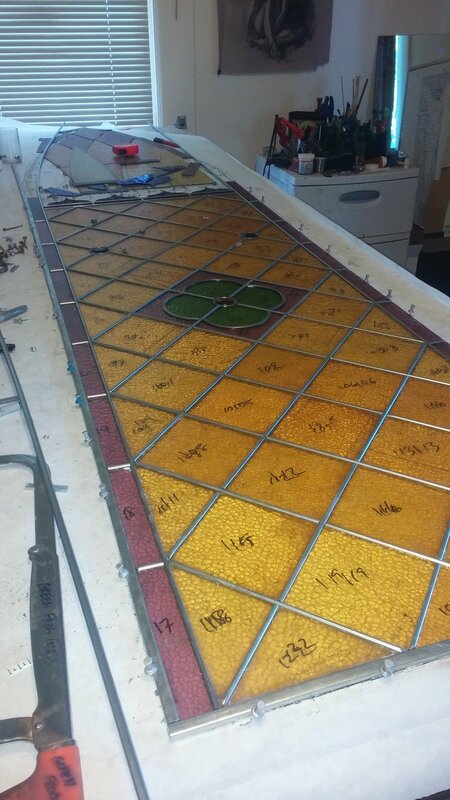 Restorations involve matching broken glass as closely as possible; disassembling the entire window and cleaning each of the glass pieces; replacing all metals at the original sizes; reassembling and soldering the piece and finally, puttying/glazing the window. In this restoration, the client had a window that was held in an unattractive wood frame. 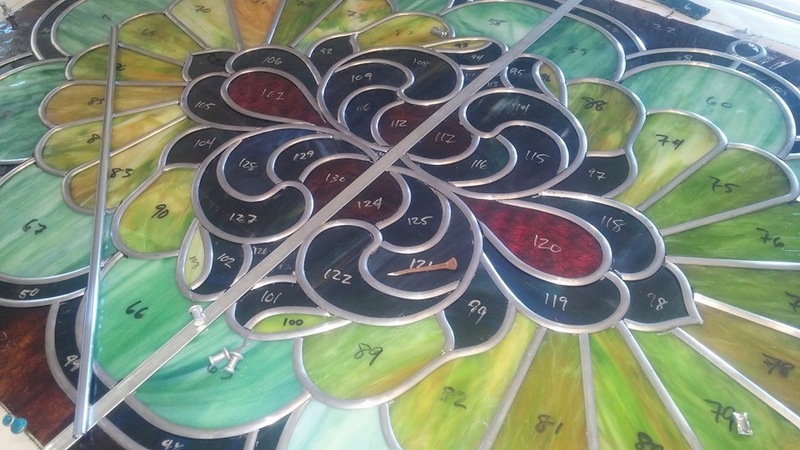 The panel had many broken pieces, and was beginning to buckle. 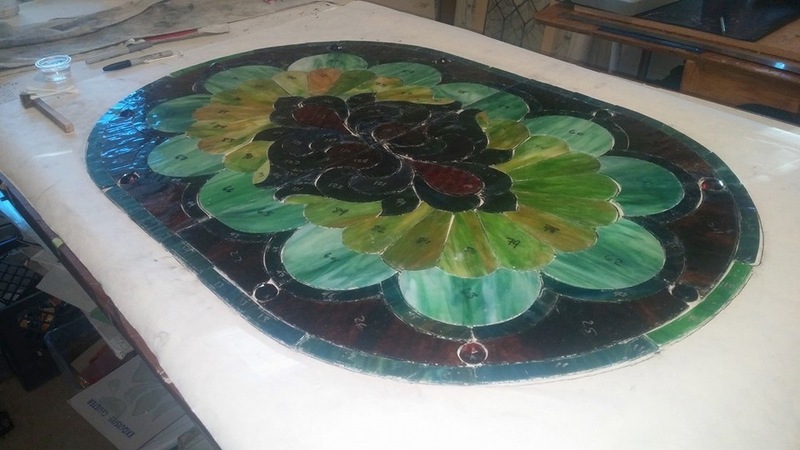 In order to hang the piece without the frame it needed to be fully rebuilt, with additional structural supports added to allow it to hang freely. 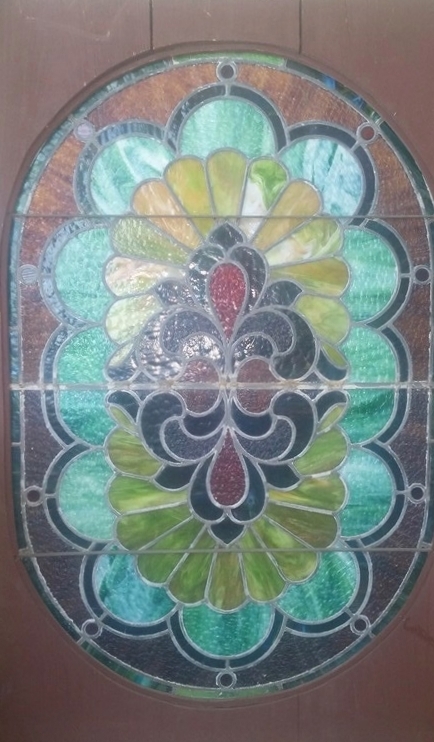 Structural integrity can be achieved in a panel by using zinc, as well as by attaching steel supports in key weight bearing areas of the window. 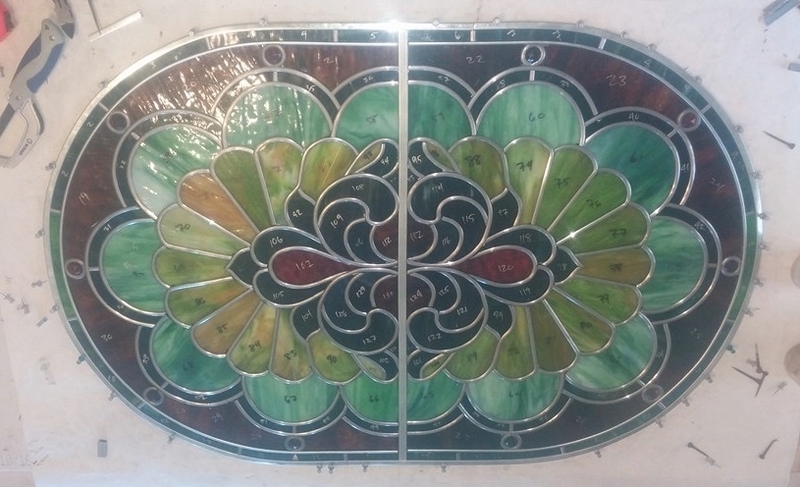 I was able to harvest the already broken edge pieces, and fully restore the window with minimal change to the original design. 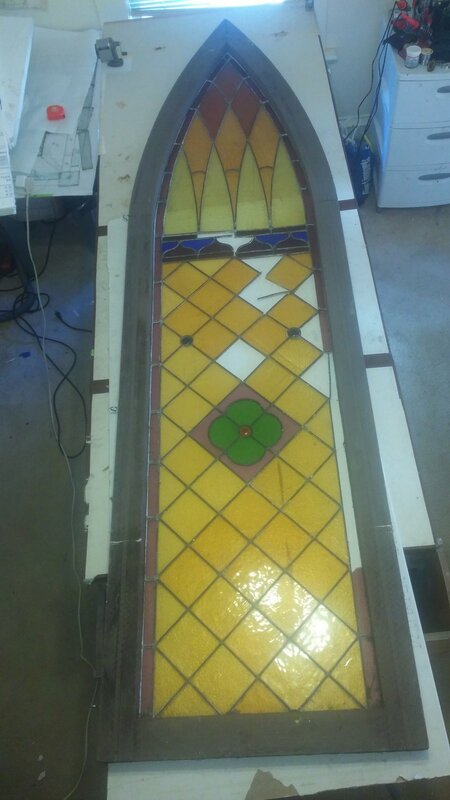 This ten foot tall church window came to me in pretty bad shape after being hung outdoors for some years. 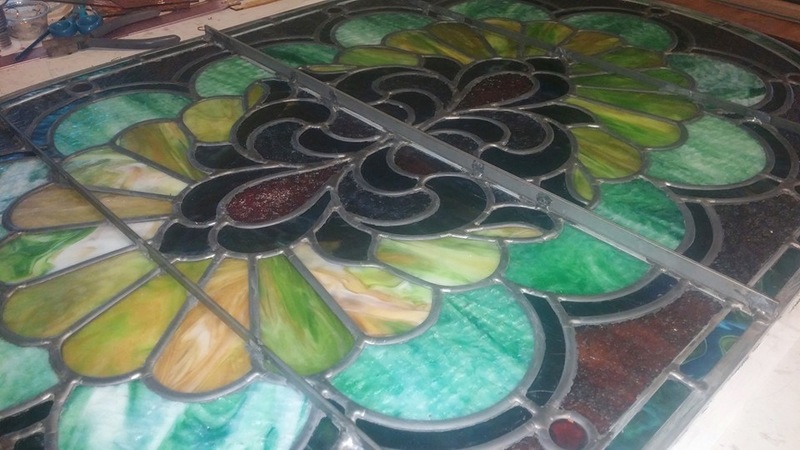 I was able to match and epoxy all of the broken glass in order to achieve a full restoration of the piece.